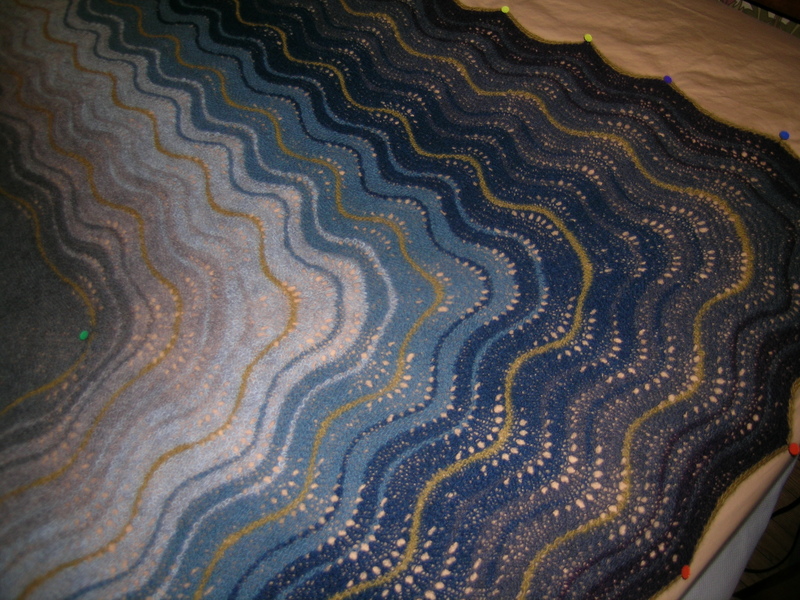 I finally finished my shawl “Dusk” from the book The Fine Line by Grace Anna Farrow. 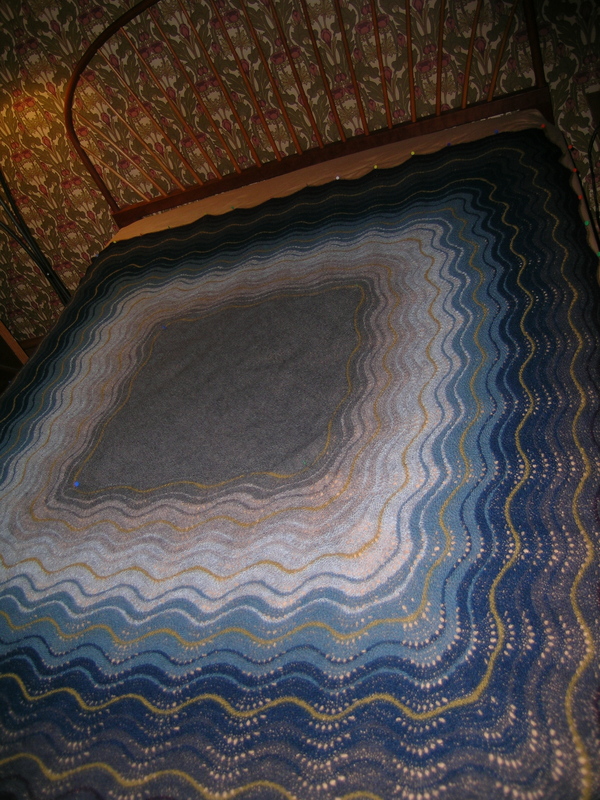 I washed and blocked it a couple of days ago, and finally got someone to photograph it. I will have to do a better photo when I am dressed up with it. 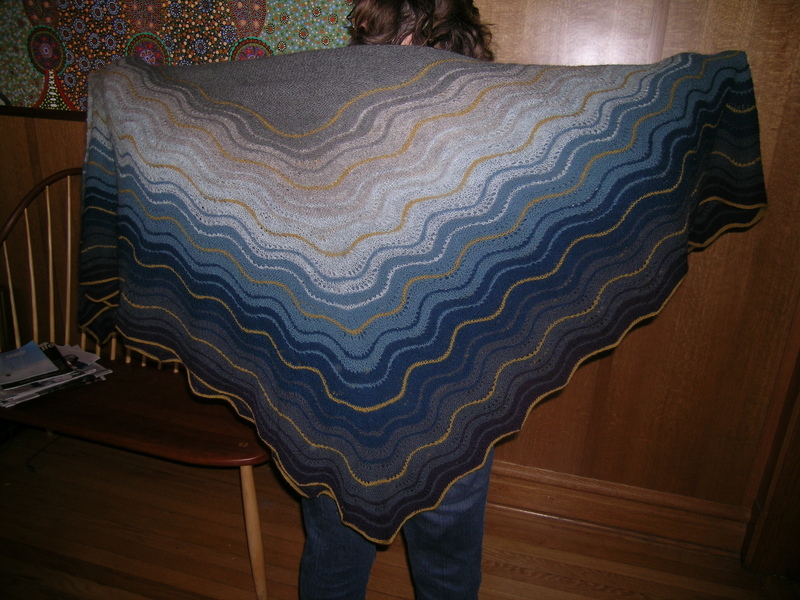 This is truly an epic shawl as my friend Manning called it. And, it counts as #2 of UFO’s completed for this year! It’s really beautiful (as well as huge!) 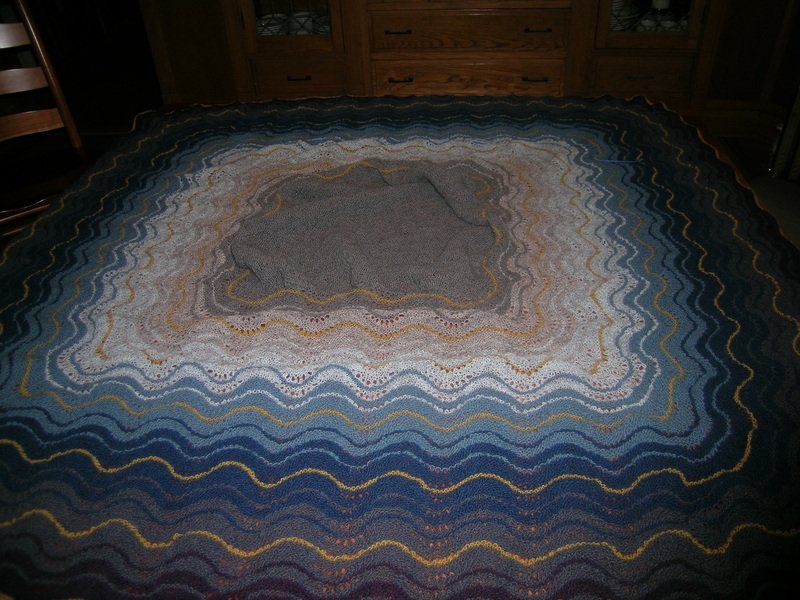 You must be so pleased with it, and to have finished it finally. 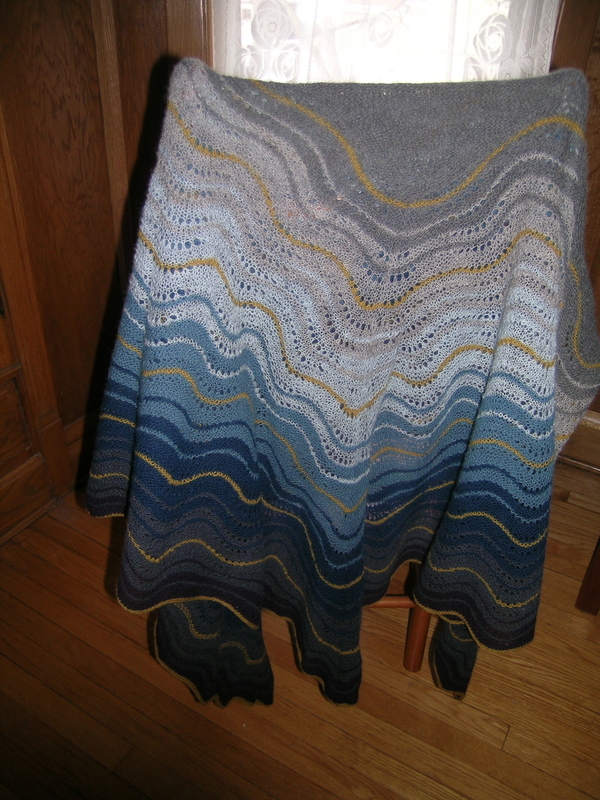 I love the colours – I like the darker colours towards the edge, dusk becoming darker. Your perservance was worth it! This is gorgeous and I am anxious to see it in person.